Idaho is in my blood. My grandfather is a practicing electrical engineer and U of I graduate, as is my father. When I was 3 or 4 years old, my father used to take me to classes with him while he was going to school here. Even now, when I walk to certain places on campus, I’m reminded of those times. 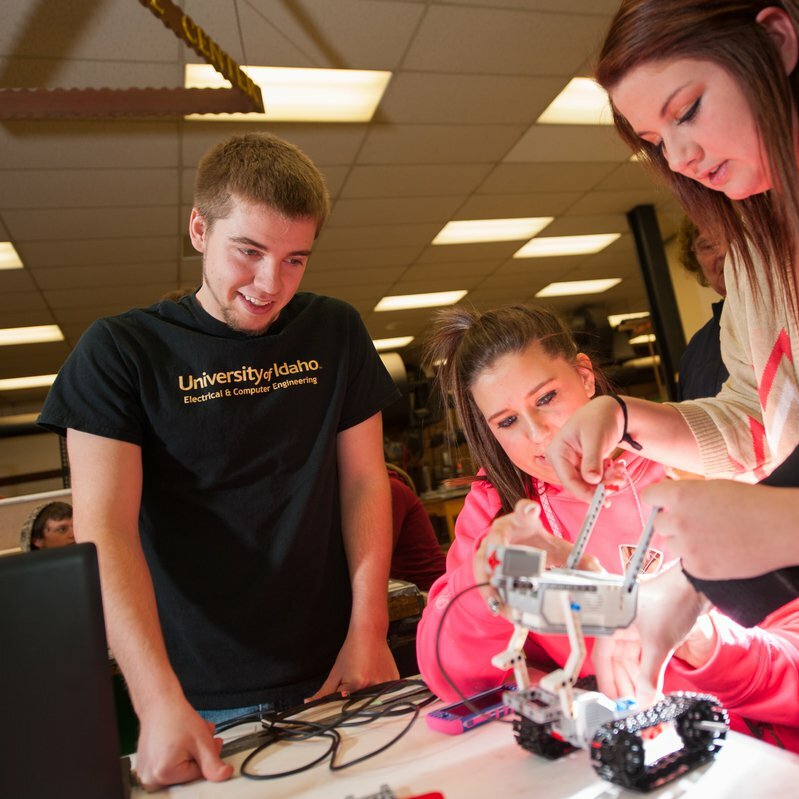 The world of electrical and computer engineering is constantly changing, and our department and professors work hard to anticipate changes in the field and adapt our coursework to keep U of I on the cutting edge of technology and learning. They teach us how to successfully compete on student teams, but also how to confidently take on individual challenges. Your generosity makes all of this possible. Your gifts don’t make a small difference, but all the difference in students being able to focus on their studies. Please continue your tradition of supporting students. Enter "Department of Electrical and Computer Engineering" as the designation for your gift. Evan Lovel, electrical engineering Class of 2016.